GENERATOR 2500 WATT 16.7 AMPS. AC 120 VOLTS - 16.7 AMPS W/ 2 OUTLETS. 115 LBS. 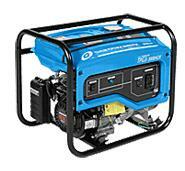 * Please call us with any questions about our generator 2500 watt 16.7 amps. rentals in South St. Paul MN metro area.